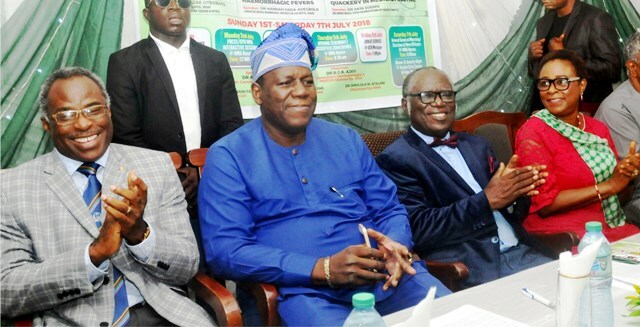 L-R: Guest Speaker, Prof. Jesse Otegbayo, Commissioner for Health, Oyo State, Dr Azeez Adeduntan, chairman of the occasion, Dr B.G.K Ajayi and Chairman, Nigerian Medical Association(NMA),Oyo State, Dr Omolola Atalabi, at the Annual General Meeting of the association in Ibadan, yesterday. 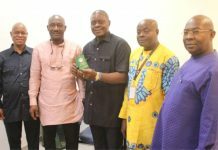 The Senate yesterday decided to investigate alleged sexual abuse and violence against Internally Displaced Persons (IDPs) at camps in the North-East and across the country. 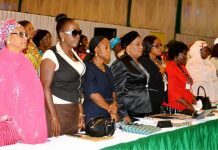 The Senate President, Bukola Saraki disclosed this while receiving the Amnesty International (AI) 2017/18 report on ‘The State of the World’s Human Rights’ and the organisation’s report on women who survived Boko Haram onslaught but were later maltreated, from its Country Director, Mrs. Osai Ojigho, in Abuja. Saraki affirmed that the country being an important part of the comity of nations, must continue to lead by example by doing the right things. The Senate President continued: “You have our assurance that nothing will be covered up. Not just for the purpose of disciplining people, but for the purpose of preventing recurrence. By doing this, we can help to ensure that people will change in their approach. In her remarks, the Country Director of AI, Mrs. Ojigho said that the visit was meant to commend the Senate for setting up a panel to investigate the allegations contained in the report. “We think it is a good sign of progress and a willingness to find out the truth regarding the incidents that have been happening and we hope that it will bring recourse to the women victims and their families in their quest to seek justice. “We also want to commend the work of the National Assembly in passing and reforming our laws, particularly the Anti-Torture Law that was signed by the President in December. We believe that this would go a long way in addressing the issue of torture, particularly by our security forces in Nigeria,” the Country Director said.